Compact yet robust in every respect, the 2017 Mercedes-Benz GLA SUV returns for the new model year with a starting MSRP of $32,850. Two turbocharged engines give the GLA family plenty of power under the hood, while a host of creature comforts build a sophisticated, entertainment-rich cabin for up to five passengers. Always an ideal choice for families in Alpharetta, Johns Creek, and surrounding neighborhoods, the Mercedes-Benz GLA is a true standout among costlier SUVs. Check out RBM of Alpharetta’s GLA overview below to get a better idea of what this outstanding SUV can do! Available in three trim levels, the Mercedes-Benz GLA offers two engine options: a 208-hp 2.0L turbo 4-cylinder and a 375-hp AMG® 2.0L turbo 4-cylinder. 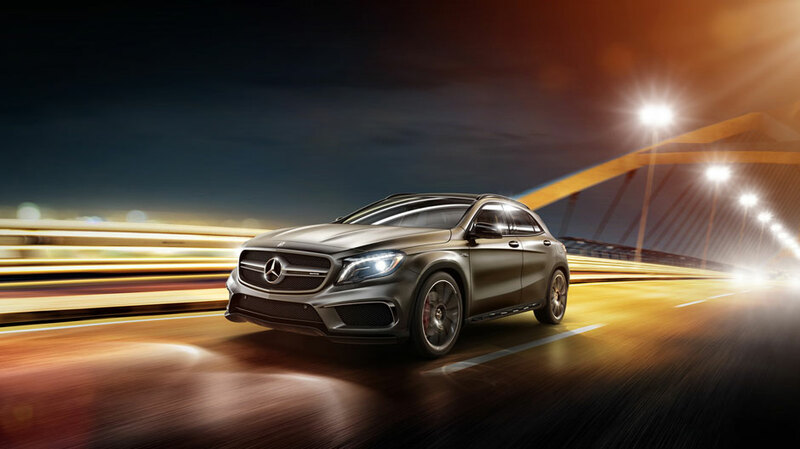 For added fuel-efficiency, all three trims benefit from ECO Start®/Stop, a 7-speed automatic transmission, and direct steering The GLA 250 and GLA 250 4MATIC® utilize 4-wheel independent suspension, while the AMG® GLA 45 gets a lower, sportier stance with AMG® Sport Suspension. Altering throttle response, steering, and shift points is a breeze with DYNAMIC SELECT®, which consists of ECO, Sport, and Manual modes for the GLA 250 and GLA 250 4MATIC®, as well as Comfort, Sport, Sport+, and Individual modes for the AMG® GLA 45. 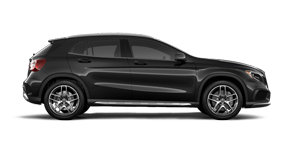 The 2017 Mercedes-Benz GLA steals the spotlight with its twin-crosswing grille, brawny shape, 18- to 19-inch wheels, and available Gloss Black accents. 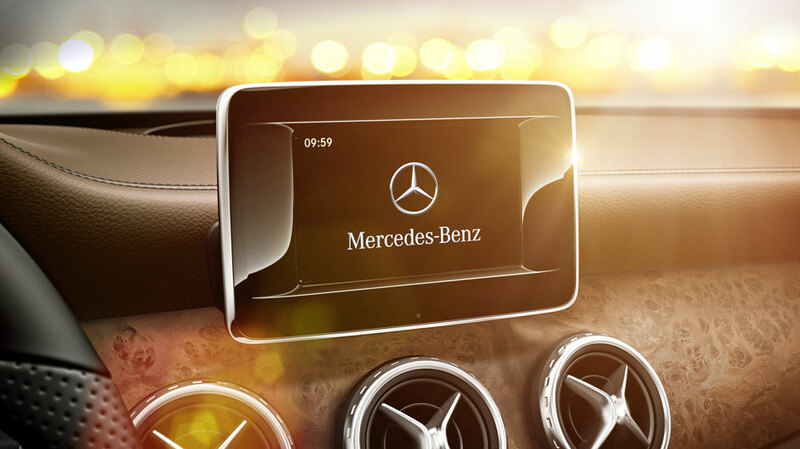 Taking a peek inside, you’ll notice the same attention to detail present in the GLA SUV’s body structuring – from the privacy glass, to the Anthracite trim, to the circular air vents. Durable, leather-like MB-Tex upholstery is fitted over each seat, including the power-adjustable driver seat, fold-flat front passenger seat, and 60/40-split-folding rear seats. With the rear seats folded, the cargo area offers up to 41.8 cubic feet of storage space. To prevent damage, the SmartKey-operable power liftgate uses a sensor to detect obstructions and, if necessary, stops itself from opening. Safety is a constant inside the 2017 Mercedes-Benz GLA. To give you an edge in precarious conditions, the front foglamps boost visibility for you and other Johns Creek drivers, while the AMG® GLA 45 SUV’s Bi-Xenon headlamps let you see further ahead. In the event of an accident, tried-and-tested front and rear crumple zones displace crash force energy to better protect the passenger cell. Meanwhile, 10-way airbag protection and 3-point seatbelts with Emergency Tensioning Devices (ETDs) offer greater occupant safety from the inside out. Active Brake Assist, a standard driver assist, works to sense frontal collisions before they occur, and strengthens drivers’ emergency braking efforts. Priced at a base rate of $32,850, the GLA 250 SUV features a 208-hp 2.0L turbo 4-cylinder engine, a 7-speed DCT dual-clutch automatic transmission with shift paddles, and 4-wheel independent suspension. Offering three base modes – ECO, Sport, and Manual – the DYNAMIC SELECT® program gives you complete control over performance and handling. The GLA 250 4MATIC® SUV – starting at $34,850 – brags standard 4MATIC® all-wheel drive and Off-Road Package with a specialized Electronic Stability Program (ESP®). 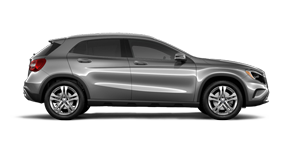 Like the GLA 250, the GLA 250 4MATIC® also features a 208-hp 2.0L turbo 4-cylinder engine, a power liftgate, a power-adjustable driver seat, and a 7-inch display screen. Sporting a 375-hp AMG® 2.0L turbo 4-cylinder engine, the AMG® GLA 45 SUV produces 350 lb-ft of torque and accelerates from 0 to 60 mph in 4.3 seconds. For a starting MSRP of $49,900, the AMG® GLA 45 tacks on a 7-speed AMG® SPEEDSHIFT® dual-clutch transmission, AMG® Performance 4MATIC® all-wheel drive, and more. Search for Your New GLA at RBM of Alpharetta! Decked out for the many journeys ahead, the 2017 Mercedes-Benz GLA is a stylish SUV that holds its own in tough conditions. If you’d like to take the GLA for a test drive, contact RBM of Alpharetta from 9 a.m. to 7 p.m. Monday through Friday, or from 9 a.m. to 6 p.m. on Saturday. Or, visit us at 345 McFarland Parkway in Alpharetta – just 20 minutes north of Johns Creek, GA! **harman/kardon® and Logic 7® are registered trademarks of Harmon International Industries, Incorporated.